Putting diesel tax on par with petrol would result in net gains for the exchequer and net reductions in pollution, the ESRI says. A NEW STUDY from the Economic and Social Research Institute (ESRI) has said that increasing tax on diesel motor fuel “can be justified on environmental and fiscal grounds”. Currently, the tax on petrol is higher than that of diesel – 47c a litre on diesel compared to 59c a litre on petrol – but the ESRI said that the excise duty for diesel should be raised to the level of petrol. The government has been consistently lobbied by environmental groups to bring parity as while diesel emits lower levels of carbon dioxide than petrol, it does result in more air pollution. 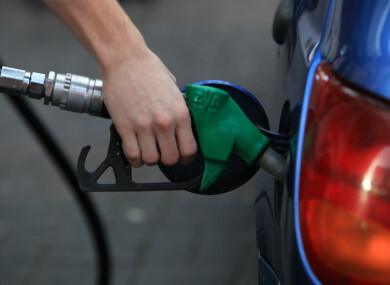 The ESRI noted that consumption of diesel has far exceeded that of petrol in recent years, and that the gap is growing. It said: “The higher levels of emissions compared to those claimed by manufacturers combined with growing traffic volumes have resulted in poor air quality in many European cities. Currently, diesel fuel benefits from a lower excise rate than petrol in Ireland. This, along with CO2-based Vehicle Registration Tax and Motor Tax system, incentivises the purchase and use of diesel cars. Applying a model tracking consumption, tax receipts, carbon dioxide emissions, nitrous oxide emissions, and air pollution, the ESRI found that applying the same tax on diesel fuel as on petrol fuel would result in a net decrease in harmful emissions and air pollution, while boosting the exchequer to the tune of €500 million. One point it said must be considered, however, was whether higher diesel costs would cause people to travel to the North to avail of cheaper prices. The ESRI did point to recent research however, that pointed to the price of diesel being 1.2 times higher in the UK. Elsewhere in the report, the ESRI found that tax breaks in other areas can have an unintended negative impact on the environment. It also looks aspects such as the zero VAT rate on fertiliser, the rebate scheme on diesel tax for the haulage industry and the possible introduction of an air passenger duty. In the case of the air passenger duty, introducing such a levy would result in far fewer passengers travelling by air, according to the ESRI. While it would result in far less emissions and raise around €825 million, it would also result in a huge decrease in passenger numbers which could have a wider impact on the country’s economy. Email “Putting diesel fuel tax on par with petrol 'justifiable', report finds”. Feedback on “Putting diesel fuel tax on par with petrol 'justifiable', report finds”.